Most people in the full-time working class have a day or evening set up for it. It requires a bit of work, so it is not necessarily the most looked forward to of times. Who wouldn’t rather relax? Everyone has skipped laundry day at least once, forcing themselves to improvise the following week. Some of the methods of getting by are probably better left unsaid (such as wearing dirty clothes), but we’ve all been left with the realization that it’s definitely in our best interest to maintain the weekly chore. It’s time consuming and demanding – you’d rather just chill. First, ask the family to participate if possible. There’s no reason they shouldn’t do their part. Instead of sorting your clothes after they’ve been washed, do it before. Simply have separate bins dedicated for lights and darks. Keep items that shed, like towels, away from ware that attracts lint (ex. corduroy fabric). Keep your socks together by using sock-clips. When you remove them from your feet, clip them together. Wash ‘em and dry ‘em like normal. 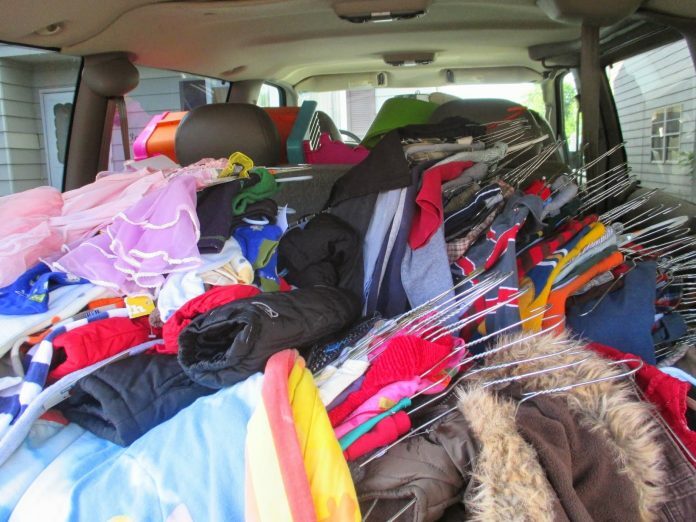 When your load is done drying you won’t have to sift through a pile of clothes looking for the missing matching socks! Score for the time savers! Give yourself time to deal with stains. Don’t panic or be frantic at the time of the accident. If you can dab the splotch in hot water, great! Otherwise roll with your circumstances and deal with it. Apply a pre-treater as soon as possible (some of my friends keep it at work in case of the unexpected). Select pre-treaters that are safe to use several days before you wash. But don’t waste time looking for stains. If you examine each garment you’ll drive yourself crazy and watch your time slip by. Especially if you feel an urgency to treat every little strain you find, no matter how minor. Simply add a detergent booster to your wash instead, it serves to be just as effective as an individual treatment. Quit measuring out your liquid detergents, it’s a hassle and you’re in a hurry. Just toss a tablet of deep cleaning power blasts into the water instead and you’ll notice how the time savings adds up when you are able to get in and out of there without pause. Don’t fall for the myth that you have to run all of your loads for a full cycle. There’s no need to over wash, go for the shortest cycle available. You may also set the temperature to HOT, ensuring the best single wash cleaning possible. You might consider running an additional spin cycle to really squeeze out the last of the loose water. This will save time on the dryer. It won’t have to work as hard and can save a few minutes – it’s all adding up! Speaking of adding up – don’t add so many clothes to the machine that you overload it! That will only slow it – and you – down. Take the prompt steps that will make ironing unnecessary. Remove your clothes immediately upon the end of the dryer cycle. Shake them out and hang your shirts and pants immediately. Keep everything in its place. 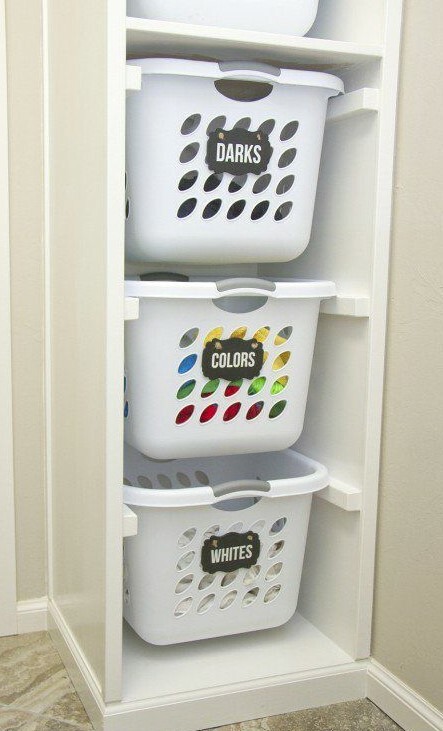 With an organized laundry room and closet you will save yourself a lot of time. Hampers and laundry baskets are tools of your trade! Whether it be slamming your cabinets while looking urgently for detergent, or frantically scurrying under the bed for that lost sock, they are follies to be avoided with your attention to organization – on laundry day.